This article summarizes the study “Process orientation: Conceptualization and Measurement” by Kohlbacher M. and Gruenwald S., to be published in the Business Process Management Journal in 2011, Volume 17, Issue 2. The approach of process orientation emphasizes processes as opposed to hierarchies (McCormack and Johnson, 2001). Process orientation means focusing on business processes ranging from customer to customer instead of placing emphasis on functional structures (Reijers, 2006). Process management capitalizes on improving an organization’s efficiency through high-level coordination of an organization’s activities in a rationalized system of end-to-end processes (Benner and Tushman, 2002). The process management philosophy is a comprehensive problem-solving heuristic that is process-oriented, customer-focused, fact-based, and participative throughout a firm (Winter, 1994). Business process management incorporates the discovery, design, deployment, execution, interaction, control, analysis and optimization of business processes (Smith and Fingar, 2003). 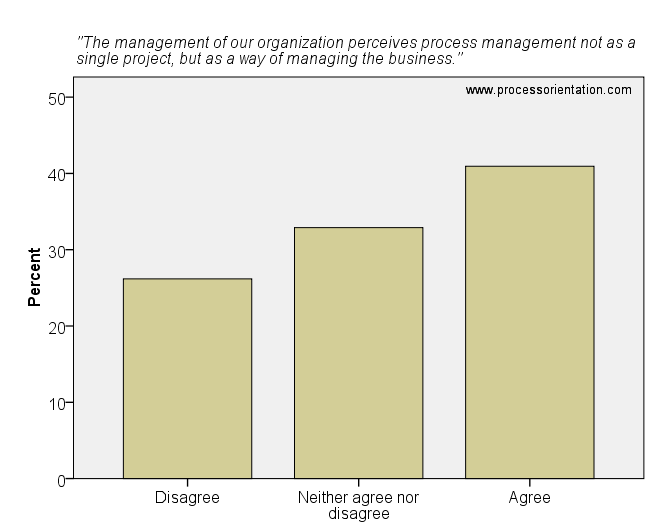 At present, many managers are looking for ways to make their organization more process-oriented. The findings of the paper indicate that business process management involves many different aspects, ranging from design and documentation of business processes to process-oriented organizational structure. The developed model in the paper has potential use for an organization to review its internal progress of process-oriented organizational design and has potential use for process assessment, either as an alternative or supplementary measurement of process capability and organizational maturity. This article is a brief summary of the paper “Dynamic Capabilities through Continuous Improvement, Organizational Process Alignment and Innovation” by M. Kohlbacher and M. Ringhofer, which will be presented next week at the 30th Annual International Conference of the Strategic Management Society in Rome (http://rome.strategicmanagement.net). The paper examines the interaction effect of continuous improvement initiatives (e.g. Six Sigma or KAIZEN) and business process orientation on innovation. The empirical study uses a sample of 67 Austrian manufacturing companies. can develop their products to the market more quickly. The paper will be presented in Track I, Session 203. First, a prerequisite for managing an organization based on its processes is to know which business processes are performed within the organization and how they are related to each other. Hence, a process-oriented firm explicitly designs and documents its business processes. 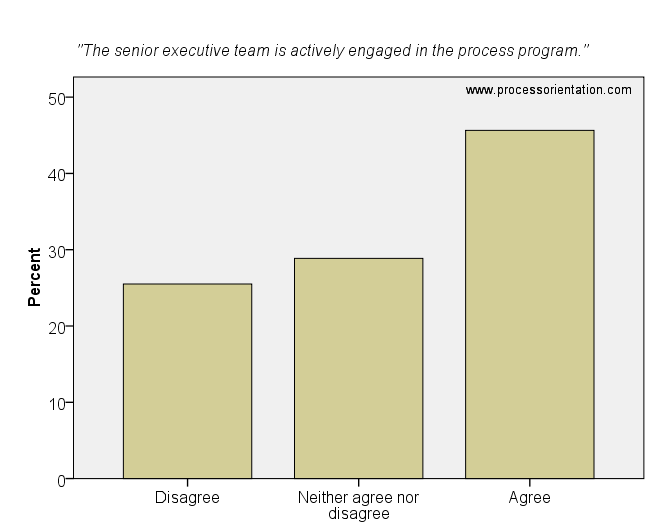 Second, management needs to support the process program. 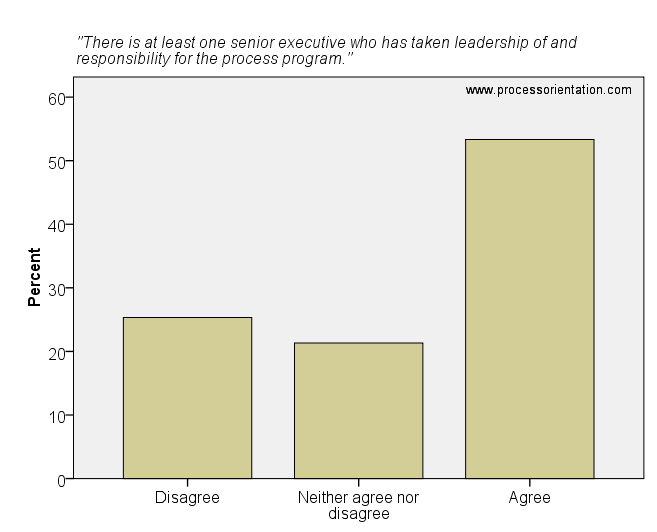 Without the support of senior executives, the process idea cannot unfold its full potential. Third, the existence of process owners is the most visible difference between a process enterprise and a traditional organization. A business process needs to have a manager who has end to end responsibility of the process. Fourth, a process-oriented organization comprehensively applies the concept of process performance measurement. By focusing measurement on processes rather than functions, alignment and common focus across separate organizational units can be achieved. Implementing measures and taking corrective actions are operating precepts of process management. Finally, there are other characteristics a process-oriented organization exhibits, including a process-oriented corporate culture (e.g. teamwork, readiness to change, and customer focus), IT systems which seamlessly support business processes, a process-oriented organizational structure, people and expertise (e.g. existence of process redesign and change management experts), process-oriented HR systems (e.g. existence of an incentive system emphasizing the process’ needs) and the existence of a BPM office coordinating and integrating process projects. Further information on the characteristics of process orientation can be found in this blog post: The Components of Business Process Management. Information on which process management components are important for improving firm performance can be found here: The Effects of Process-Oriented Organizational Design on Firm Performance.